It’s a day for intergalactic en-title-ment. 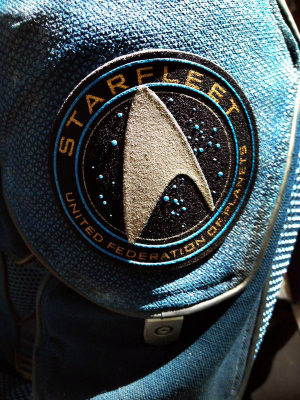 Justin Lin Tweeted out this pic of a Starfleet insginia, along with the hashtag #StarTrekBeyond, making official the rumored title. Now, if they were to follow the mold of Batman Beyond, that would mean Old Kirk mentoring New Kirk. But that’s reading waaaaaay too much into things. I think. As long as we’re “beyond” copying scenes from prior movies, that’s all I ask. "Justin Lin" "Star Trek Beyond" "Star Trek"